This volume in the Library of Theological Ethics series draws on writings from the early nineteenth through the late twentieth centuries to explore the intersection of black experience and Christian faith throughout the history of the United States. The first sections follow the many dimensions of the African American struggle with racism in this country: struggles against theories of white supremacy, against chattel slavery, and against racial segregation and discrimination. The latter sections turn to the black Christian vision of human flourishing, drawing on perspectives from the arts, religion, philosophy, ethics, and theology. It introduces students to major voices from African American Christianity, including Frederick Douglass, Richard Allen, W. E. B. DuBois, Marcus Garvey, Martin Luther King Jr., Bayard Rustin, Barbara Jordan, James H. Cone, and Jacqueline Grant. This is the essential resource for anyone who wishes to understand the role that Christian faith has played in the African American struggle for a more just society. CLICK HERE to view the Table of Contents and Introduction. "This collection of African American protest speeches and essays preserves a noble tradition drawn from rich repositories of faith and intellect, a timely resource for a generation now embracing the conviction that black lives matter." "To understand the nature and meaning of life for African Americans in the United States requires some attention to theological and ethical discourses shaped by black communities from within a context of various forms of violence. 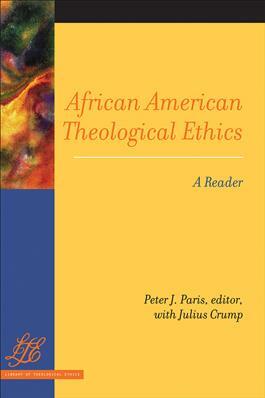 Peter Paris's African American Theological Ethics is an important collection of key documents related to these discourses. Framed, as he puts it, by memory and hope as historical underpinning for response to cruel circumstances, this volume highlights central patterns of thought and action that define African American 'religious' life. This collection, edited by a key figure in the study of African American religion, is a welcome addition to African American religious studies." "Paris provides the reader with a compelling collection of resources that reflect black moral thought and theology from enslavement to segregation to the ongoing challenges of inequality in the United States. Organizing the volume around the practical principles of opposition to white supremacy, enslavement, racial segregation, and racial discrimination, Paris gives representative examples of black resistance to racial oppression and inequality that run the gamut from adaptation to withdrawal. This volume is a rich resource that is sure to become a staple for those interested in the various ways the souls of black folk have articulated the human quest for freedom."